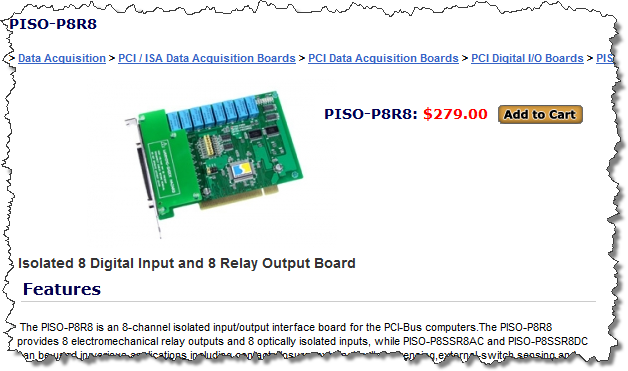 The PISO-P8R8 is an 8-channel optically isolated DI and an 8-channel electromechanical relay output board. These DI channels provide 3750 Vrms isolation protection that allows the input signals to be completely floated so as to prevent ground loops and isolate the host computer from damaging voltages. Relays are used where necessary to control a circuit using a low-power signal (with complete electrical isolation between the control and controlled circuits), or where several circuits must be controlled using one signal. 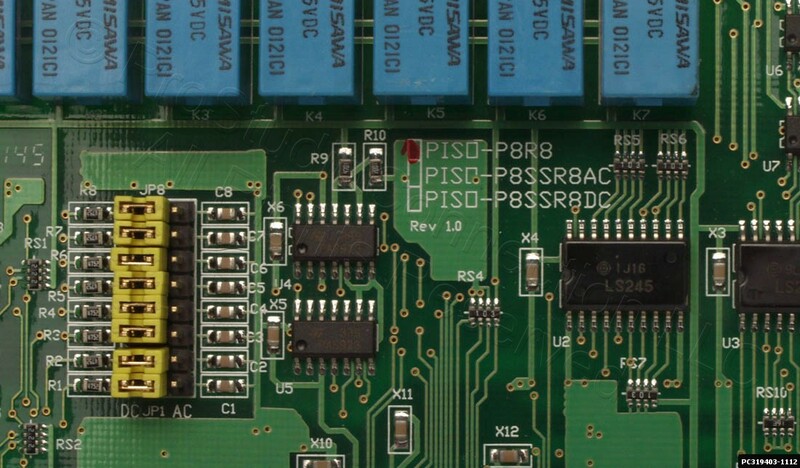 The PISO-P8R8 can be used in various applications, such as controlling the ON/OFF state of external devices, driving external relays or small power switches, activating alarms, contact closure, sensing external voltages or switches, etc. 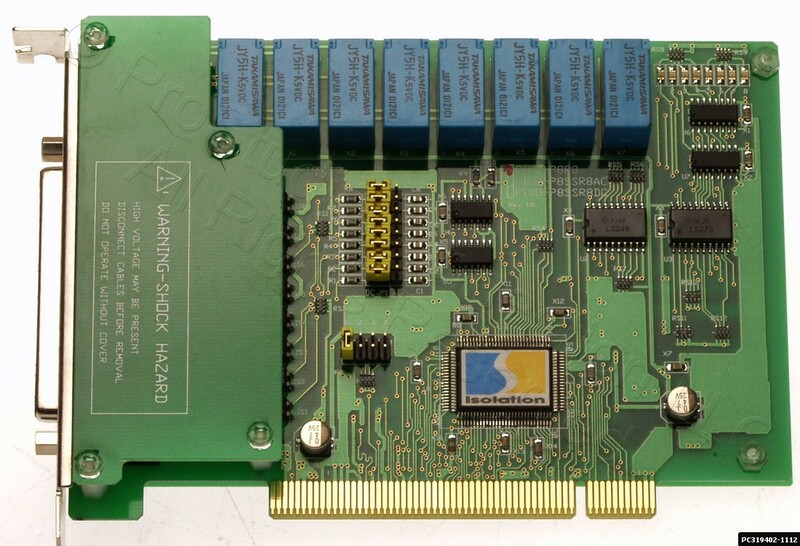 This card supports the 5 V PCI bus with true "Plug & Play" functionality, and contains a single DB-37 connector for easy wiring. 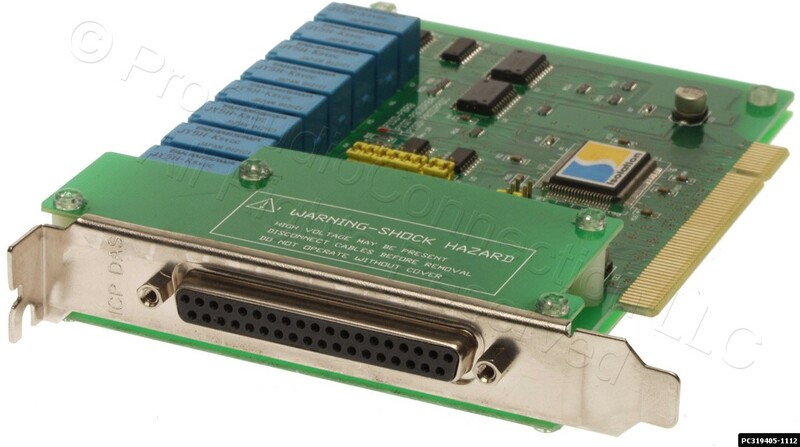 Full details may be obtained from the User Manual and Datasheet. 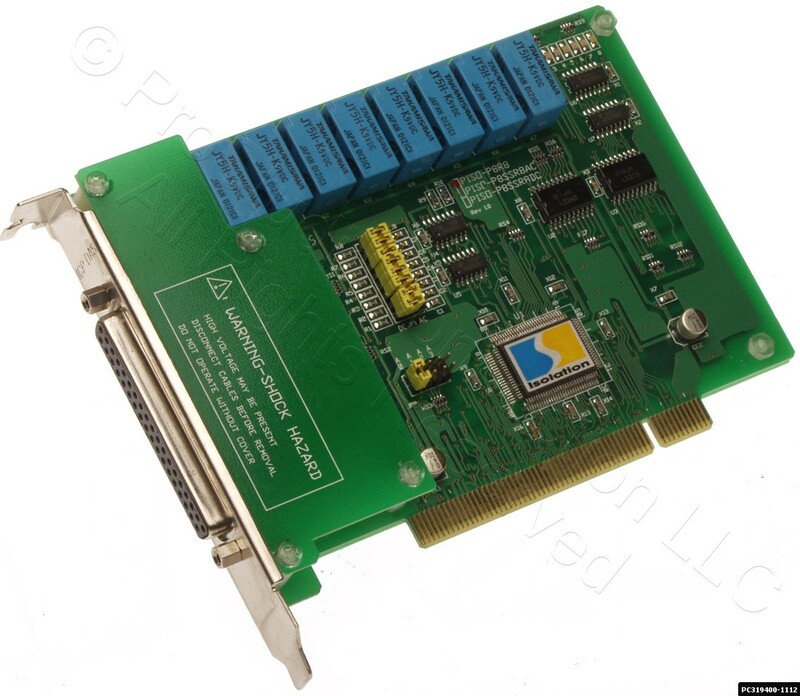 PISO-P8R8 supports various OS versions, such as Linux, DOS, Windows 98/NT/2000 and 32/64-bit Windows 7/Vista/XP. DLL and Active X control together with various language sample programs based on Turbo C++, Borland C++, Microsoft C++, Visual C++, Borland Delphi, Borland C++ Builder, Visual Basic, C#.NET, Visual Basic.NET and LabVIEW are provided in order to help users quickly and easily develop their own applications. DLL and OCX SDK for 32-bit and 64-bit Windows XP/2003/Vista/7. VB/VC/Delphi/BCB/VB.NET/C#.NET sample programs with source codes are included.